Recent studies have suggested that pharmacological activation of autophagy offers an exciting therapeutic prospect for certain chronic neurodegenerative conditions. However, in contrast to its life-promoting role, autophagy also controls a distinct form of apoptosis and may even contribute to pathological cell death, thereby complicating its function in health and disease. Although apoptosis and autophagic cell death evoke clearly distinct features of the cell death mechanisms, the border between the two types of cell demise is not completely understood. Our research aims to screen the regulation and role of autophagy in neurons in response to cerebral ischemia. The extent of autophagy may represent a master switch between cell survival and cell death. A profound understanding of the biological effects and the mechanisms underlying ischemia-induced autophagy in neurons might be helpful in seeking effective new treatments for cerebral ischemia. Rami A, Benz A. Exclusive Activation of Caspase-3 in Mossy Fibers and Altered Dynamics of Autophagy Markers in the Mice Hippocampus upon Status Epilepticus Induced by Kainic Acid. Mol Neurobiol. 2017 [Epub ahead of print] PubMed PMID: 28685385. Rami A, Langhagen A. Specific alterations of the HtrA2/HAX-1 ratio in the penumbra upon focal cerebral ischemia in mice. Neurochem Res. 2012 Mar;37(3):548-56. Steiger-Barraissoul S, Rami A. Serum deprivation induced autophagy and predominantly an AIF-dependent apoptosis in hippocampal HT22 neurons. Apoptosis. 2009 Nov;14(11):1274-88. 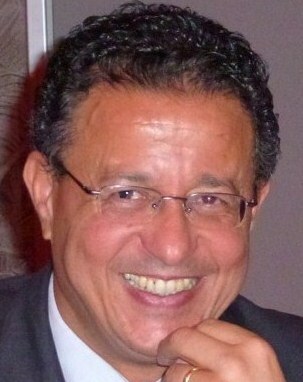 Rami A. Review: autophagy in neurodegeneration: firefighter and/or incendiarist? Neuropathol Appl Neurobiol. 2009 Oct;35(5):449-61. Rami A, Bechmann I, Stehle JH. Exploiting endogenous anti-apoptotic proteins for novel therapeutic strategies in cerebral ischemia. Prog Neurobiol. 2008 Jul;85(3):273-96. Rami A, Kögel D. Apoptosis meets autophagy-like cell death in the ischemic penumbra: Two sides of the same coin? Autophagy. 2008 May;4(4):422-6.